I don't know anything about that. I've just found about it, but knowing how Europeans do them, they must be from a stand-still. We should also consider adding Nardo oval to our track list. Are these laptimes with flying start or from a stand-still? 79,5s to 300 KM/h @ Nardo in Italy. Link here: http://www.m5board.com/vbulletin/attachments/gtboard-com-general-sportscars/88598d1252689154-nardo-high-speed-test-r8v10-gt3-slr-ctvs-murcie-nardo-r8v10-gt3-murcielage-slr-ford-gt.jpg . I believe this IS the "Speed" model! According to some bodywork & wheels. 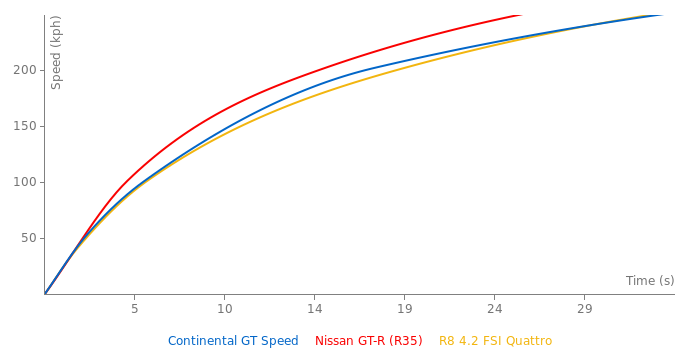 can you ppl really not tell the difference between the gt and the gt speed? BTW the Hockenheim laptime was driven with the 15,000Euro ($ 23,250) optional ceramic brake.. which is the main reason for the good laptime. Not the little bit more hp. No it isn't the same car, there are many different tweaks done to it. Plus it looks slightly different. 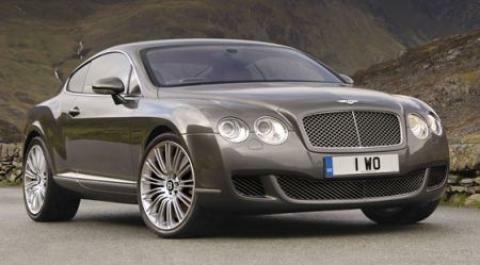 This picture is from a normal continental, not the Speed.